Born in Bernalda, a small town in the province of Matera, Angelo Troiano grew up watching the work of American directors like Francis Ford Coppola, whose grandfather is from the same town. When he was a child, Troiano’s mother took him to the local Cineplex to see cinematic masterpieces. However, he didn’t hear his calling to be a filmmaker until he was well into his teens. In 2008, he started Basiliciak, a small production company funded solely by contributions from supporters. He produced three films with Basiliciak, including the highly acclaimed short film, AnnA, which was directed by his friend and business partner, Giuseppe Marco Albano. That partnership has grown and flourished over the years. Their most recent production is the short film, Thriller, about a Pugliese youngster who overcomes the financial hardships of his city by impersonating his idol, Michael Jackson. The film was catapulted into the limelight after winning Italian cinema’s most prestigious honor, the David di Donatello. 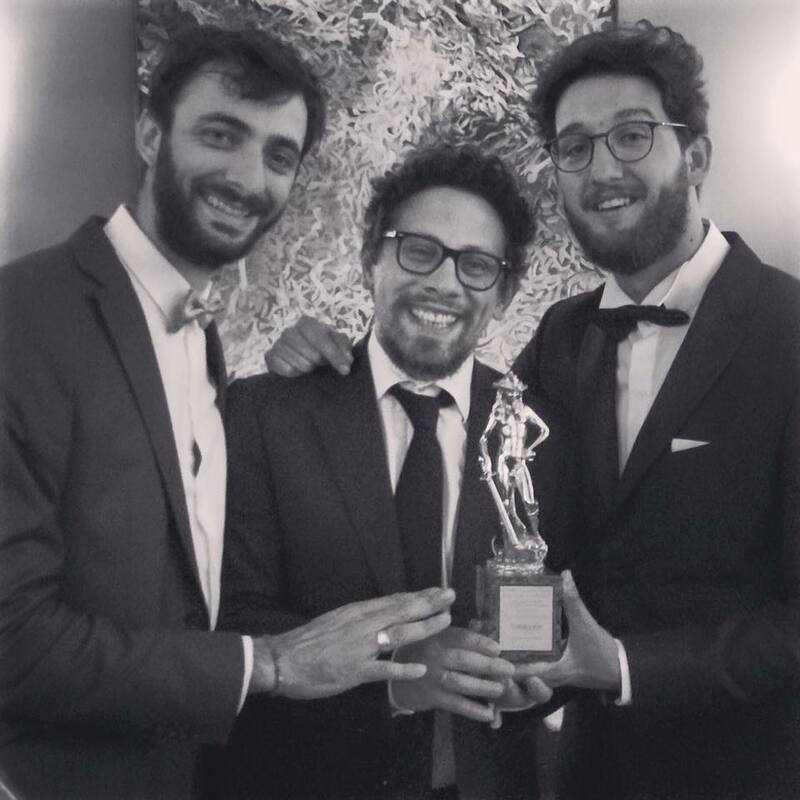 Co-produced by the pair’s close friend, Huffington Post journalist and fellow filmmaker Sergio Ragone, the Lucano trio travels throughout Italy, presenting their award-winning film to enthusiastic audiences. Thanks to social media, I’ve been connected with these filmmakers for years and I’ve watched their progress with each new project. I was so happy to see the huge success of Thriller, so I contacted Angelo Troiano for an interview. I found a well-spoken young man truly passionate about his work and his origins. I asked him about this phenomenon called Thriller, and the filmmaking boom currently taking place in his beautiful region of Basilicata. First, tell me about the story of this boy, the protagonist in your short film, Thriller. Michele is a huge fan of Michael Jackson to the point of dressing up and moving like him every moment of the day. The film takes place in Taranto, located in the southern region of Puglia. There, everyone recognizes his talent and they know it’s just a matter of time before he ends up on television. But when that day finally comes, his father is unable to accompany him on the trip to the studios due to a workers’ strike. The boy uses his imagination to come up with a solution to keep him from losing his dream. It’s a story of hope in a city that has so much to offer beyond the current issues related to the environment and health. This film has been embraced by audiences all over Italy. What do you think are the qualities of this story that make it so loved? Well as I said, it is a story of hope, from the perspective of someone surrounded by many other problems. I believe this aspect has moved people the most, from the citizens of Taranto to people all over Italy and parts of Europe. It also has an erratic pace as its tough subject matter alternates with some hilarious moments. I believe that Giuseppe Marco Albano really created a complete recipe. Tell me about your evening at the David di Donatello awards. It was obviously a unique and unforgettable emotion. I just hope the protagonist’s debut made an impact on Italian cinema. It was hard for us to believe that we actually won this prestigious award, but compliment after compliment from all the actors, directors and producers present made us realized that our dream had come true, and that it was a new starting point to do even more. Then to shake hands and speak with a legend like Quentin Tarantino, I think it was the icing on the cake. It was an unexpected turn of events and that will remain forever in our hearts. Tell me about this “Land of Cinema” that Basilicata has become, and the future of filmmaking there. Basilicata has the extraordinary advantage of possessing locations filled with ambience that suit any film of any genre. Also, the people of Basilicata realize the positive economic impact cinema can have on the region. The film industry of Basilicata is still working to develop its resources to facilitate the increase in film production. When everything is fully developed, Basilicata will be a perfect land of cinema. We are definitely on the right track. Any plans for your next project? I have a couple projects that I am working on with my partner, Giuseppe Marco Albano. One is a documentary about Italian society. Then, my different work experiences in Puglia presented me with the opportunity to learn more about this region. So, I am developing an ambitious project to reinforce the importance of short films that are often disdained in Italy. Thriller is available to watch right here. The dialogue will be tough to follow if you don’t speak much Italian. However, the images and stellar performances make the story easy to follow.